Born in Ain Beida, Algeria in 1947. Rachid Koraichi graduated from the Higher Institute of Fine Arts in Algeria, the Ecole nationale supérieure des Beaux-Arts, the Ecole des Arts decoratifs and the School of Urban Studies in Paris. Koraichi works in several media, including ceramics, textiles, poetry, calligraphy and painting. 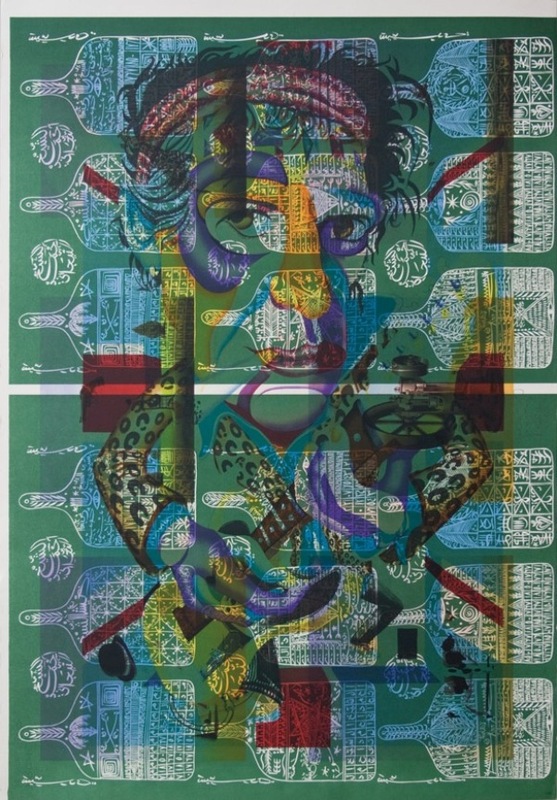 Born to a Sufi family, his work is heavily influenced by numerology, signs and the ethos of Sufi mysticism. His work was included in Expo Méjan Arles (2008) and "Love and Memory," Philadelphia, Pennsylvania (2007). 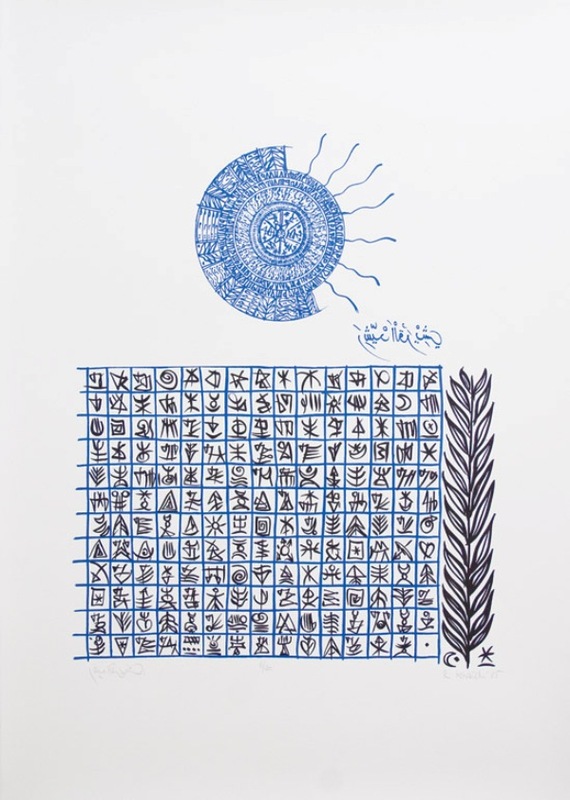 Among his solo exhibitions was "Twenty Years, Twelve Poets: Ceramics by Rachid Koraichi," Institute for the Humanities, Ann Arbor, Michigan, 2007. Koraichi lives and works in Paris. "Through these lines, signs and marks, these traces and tattoos, these scars, Koraichi is expressing a desire to reestablish the legitimacy, not only of Arabic calligraphy, but also of all the symbols and signs that are rich with spiritual and physical history. They reflect all of our accumulated traditions, all of our ancestral customs, but are, at the same time, looking towards the future. 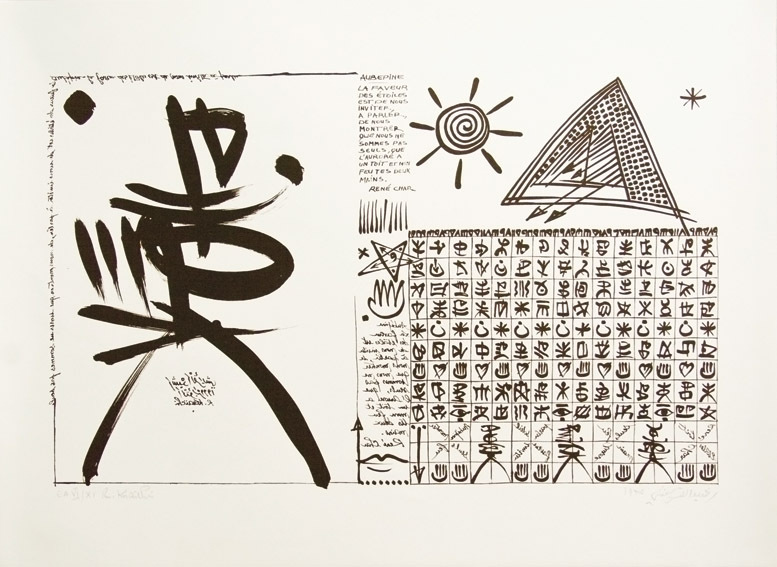 Koraichi thus invokes these graphic and non-graphic symbols to be used as internal and external elements, all pointing towards the hidden and the esoteric in the work of art."